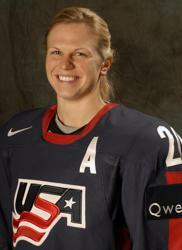 United States Hockey Hall of Fame as the Class of 2018, it was announced today by USA Hockey. A storied figure in American hockey, Gordon “Red” Berenson stepped down as head coach of the University of Michigan men’s ice hockey program following the 2016-17 season after 33 years behind the bench. One of just four college hockey coaches to collect 800 career wins, Berenson helped lead the Wolverines to 22 consecutive appearances in the NCAA Tournament from 1991-2012, marking the longest streak in college hockey history. A former member of the University of Minnesota women’s ice hockey team, Darwitz set a school record with 246 points (102G, 144A) in just 99 career games. She went on to break the NCAA record for points in a single season when she tallied 114 points (42G, 72A) during her final year as a player at Minnesota. The three-time All-American and Patty Kazmaier Award finalist was named the Most Outstanding Player for her record-breaking, nine-point performance at the 2005 NCAA Tournament where she scored the game-winning goal for the Gophers with 1:08 remaining to lead them to their second national championship in as many years. The first American-developed player to record a hat trick in the NHL, Boston-born Leland “Hago” Harrington was a pioneer in the development of Massachusetts hockey, both as a player and coach. Reputed to be the most talented high school player at Melrose High School, Harrington joined the famed Boston AA Unicorn in the Eastern Section of the United States Amateur Hockey Association (USAHA) at age 19. In 1923, the USAHA was considered the top hockey league in the United States. 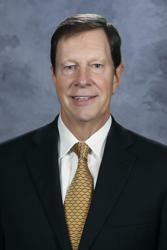 Following the 2017-18 season, David Poile became the longest-tenured general manager in NHL history, having served 36 consecutive seasons as a GM, including 21 with Nashville Predators and 15 with Washington Capitals. He is the only general manager to lead two separate clubs for 1,000 games and 500 wins and became the winningest GM in NHL history with his 1,320th victory during the 2017-18 campaign. The first American to referee more than 1,000 NHL regular-season games, Paul Stewart is one of the most respected officials to ever lace up the skates. 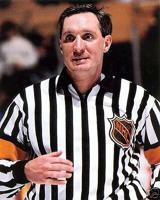 He still stands today as the only American who played and refereed in the NHL after skating in 21 games with the Quebec Nordiques during the 1979-80 season. Today, Stewart serves as the director of officiating for ECAC Hockey.